In pre-World War II America, many towns in the Mid-Atlantic region were flourishing due to manufacturing and the steel industry. The backbone of America’s economy was helping build today’s famous cities and buildings across the globe, but when the Second World War ended a steady decline of these industries began. By the 1970’s these towns that were the backbone of our economy were practically unrecognizable. The blue-collar workers of the factories moved on to the next economic boom town. This left a large housing market with low demand, forcing landlords to drop prices and the poverty stricken found refuge. A neighboring town of ours, Camden, New Jersey, has a story like the summary above. Camden got its start due to the railroad and its big neighbors. The town had tracks connecting directly to New York City, and for anyone traveling south to Philadelphia had a mandatory stop in Camden to access the Delaware River ferry. During the industrial economic boom, Camden was the place of residence for RCA Victor, New York Shipbuilding Corporation and Campbells Soup Company. These three companies were leaders of their industries through both World Wars. During these flourishing years the town’s population almost tripled due to the employment demands. The RCA Victor building is where Frank Sinatra signed his first contract with RCA Victor. A world-famous artist was making art from Campbells can variations, and the shipbuilding company was building vessels for the war. As time went by both World Wars had ended and these companies began to struggle. The New York Shipbuilding Corporation went bankrupt in the 1960’s. 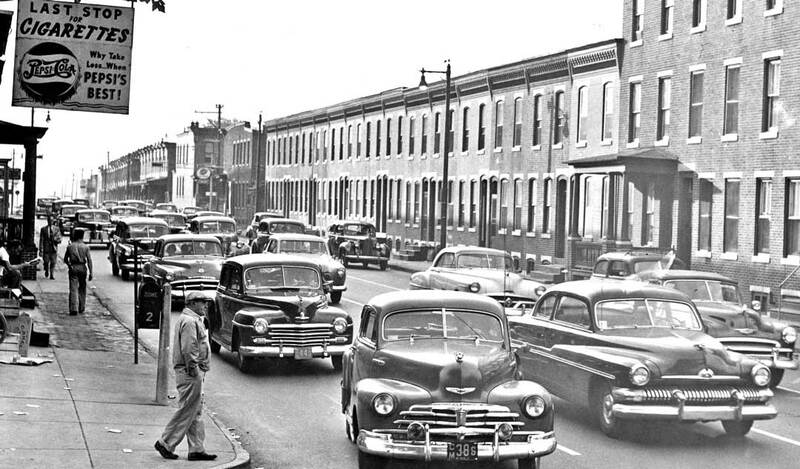 Many of the blue-collar workers residing in the town moved on to find new jobs and eventually Camden became a deteriorated housing market occupied by the poverty stricken. Since the 1970’s most individuals that braved the streets of Camden have images like the one below engraved into their mind. When a place hits this level of economic struggle, how does it attempt to rise again? That is what we are going to talk about in this blog. This past week I went to a business marketing event and the topic of conversation was the status of Camden, New Jersey’s revitalization. Below is a list of actions that seem to be crucial for growth of these towns and examples that Camden has set in place. 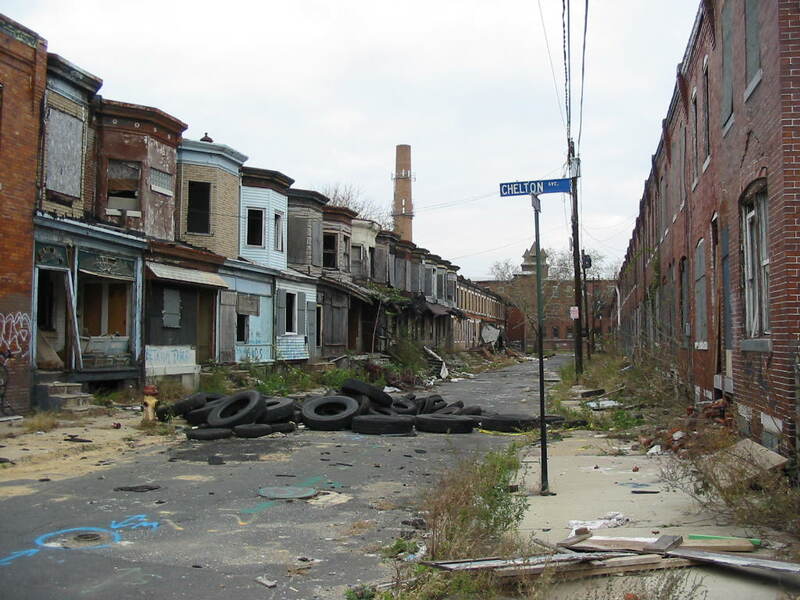 Safety – When majority of a city lives below the poverty level there is typically a high rate of crime. To bring people back they need to be insured of their safety. Camden has drastically lowered the crime rate by watching the entire city. They have installed over 120 cameras and 35 microphones on the streets to monitor everything happening. Police have a command center where they can park and oversee a 6 square block area with heat signatures. Industry – When the city feels safe people will not be afraid to visit. This opens the opportunity for the area to be a place of business. When an economy is struggling, commodities will sell for a lower price to turn a small margin profit. One of those commodities is land, and who needs land for business? Large businesses and the manufacturing industry require substantial square feet to operate their businesses. Camden recently was successful at being selected as the home of Subaru’s headquarters, bringing over 500 jobs to the city. Entertainment – To grow an impoverished area you need to make the city inviting. Camden started their revitalization by adding entertainment to their water front facing Philadelphia. Over the years they have added a minor league baseball diamond, aquarium, and an outdoor amphitheater. Housing – When people feel safe, are in the city on a recurring daily basis, and land is still cheap, it is the time to bring the community back to the town. Housing with the newest amenities at an up and coming location is often a young adults dream place to call home. Camden has not started this chapter yet on a large scale, but I believe it’s coming soon. Amenities – People can reside and work in a town, but that is not “living” in a city. Living is walking down the street to grab your cup of coffee. Going to the gym around the corner or having dinner and drinks with friends or family. The best way to provide this from a developing standpoint is dedicating a percentage of your housing project investment for mixed use. These amenities provide for your tenants, and when more developers provide the same you create options for the community you just created. Camden is working on this type of development. It is probably the most difficult portion of these 5 steps listed, but once started it often moves quickly, and soon you have created a thriving community. It only takes one person for others to follow. If you feel like you are that one person, contact us at JL Architects.